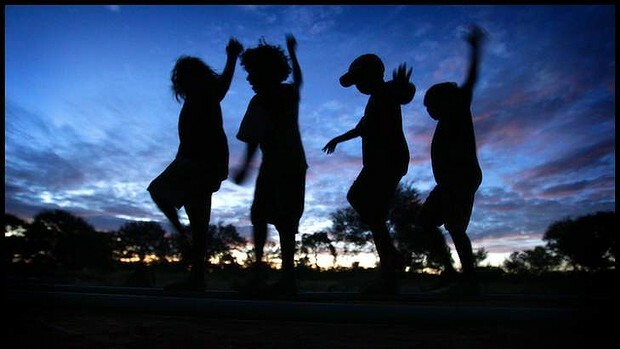 NACCHO Aboriginal healthly debate: Medicare Locals (MLs) their future is unclear ? Primary health care in Australia is a messy beast, with many heads and all sorts of body parts. But it’s centrally important because it plays a major role in achieving public health outcomes, such as better co-ordinated care for people with chronic conditions, good immunisation rates and programs to help people quit smoking and lose weight. Medicare Locals (MLs) now have a role in coordinating and improving this care, but their future is unclear. MLs were set up during the Rudd-Gillard health reforms to tame the beast, plan for better preventive health, fill gaps in service and improve coordination by drawing on local knowledge. This means working with hospitals, Aboriginal medical services, community health services, patient advocacy groups, the aged, refugees and immigrants, as well as state and local governments. 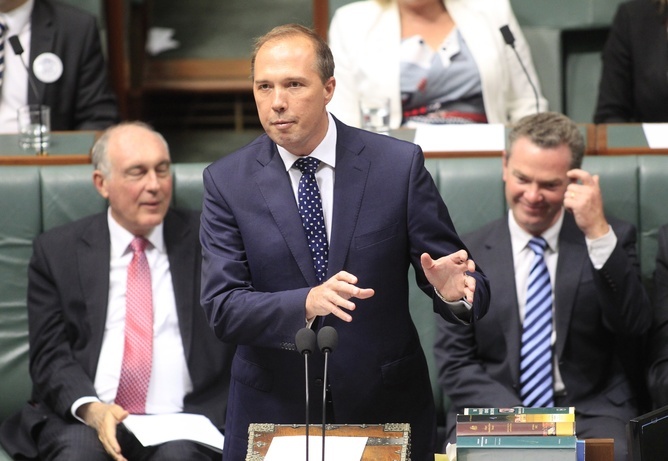 Before the election, health minister Peter Dutton derided MLs as merely an “extra layer of bureaucracy”, foreshadowing the possibility they could be axed under a Coalition government. Professor John Horvath, chief medical officer from 2003 to 2009, is now reviewing the role and function of MLs. Submissions closed last month and he will report to government in March. There are 61 Medicare Locals across the country, the first of which have been operating for a little over two years. Since MLs have now provided more than 500,000 services and 4,700 professional development and education sessions for health professionals, it will take more than a click of the fingers to cut them out and return to the pre-2011 system where the Divisions of General Practice did some (but nowhere near all) of this work. There are many more services and providers involved in Medicare Locals than general practitioners and specialists, though listening to some of the dominant voices involved in the review gives the opposite impression. Disappointingly, the submission of the Australian Medical Association (one of the doctors’ advocacy groups with a big voice in policy debates) takes the simple view that Medicare Locals don’t work because they are not dominated by doctors. The AMA role is to protect the earnings and interests of doctors but its submission is a thin piece of analysis referring to none of the successes, strengths or potential of MLs. On the other side, the submission from the Australian Medicare Local Alliance is all sunshine and flowers. It gives a very positive set of reasons to give MLs a longer go and is thin on the real criticisms that may have to be addressed. Helpfully, it attaches appendices with some statistics and many examples of the work and success stories so far. 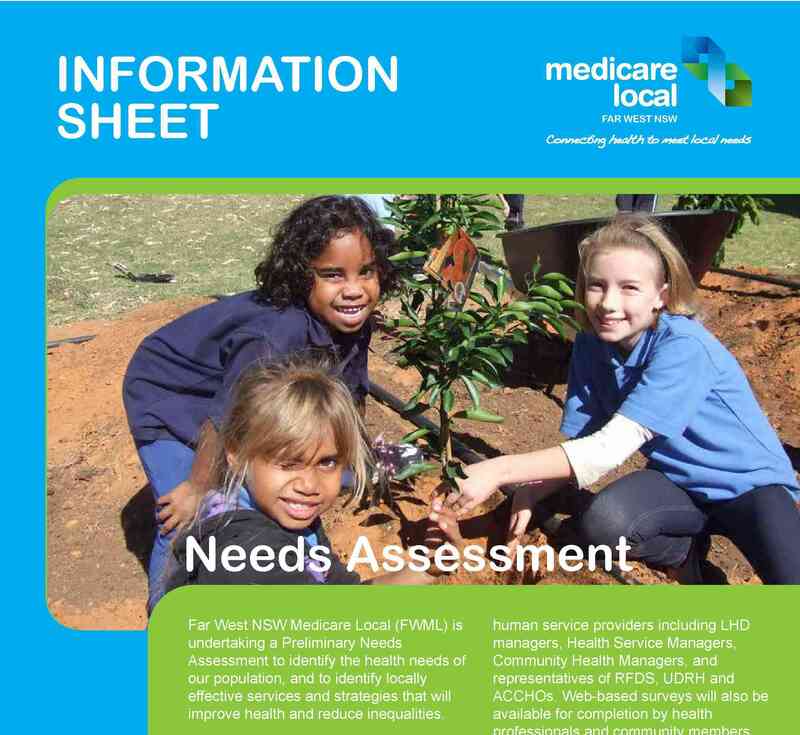 The Greater Metro South Brisbane Medicare Local, for instance, has offered 11 Chronic Disease Self-Management Programs to Aboriginal and Torres Straight Islander peoples, including for diabetes. In between these extremes we have some mixed views in other submissions. On the positive side, there is some great work on health promotion and coordination which might deliver considerable health savings in the longer term if not cut off at the knees. There are also more voices at local level getting together to map what services exist, weigh up what is needed and plan to get the care the community prioritises. But there is some duplication and wasted effort when MLs provide services now that are competing with other providers rather than filling gaps. The name is also a problem, as people think they can make payment claims at the ML – a role for the national Medicare offices. Overall, there is a strong case to let the MLs have a few more years to prove their worth and to see what savings elsewhere in the health system may be countable by the ML-driven effect on reducing hospital costs, unnecessary tests, screening and doctor visits and the burden of chronic conditions. The current UNSW-Monash-Ernst and Young evaluation, (separate to the review), should shine some light on these questions. What are the likely review outcomes? There are three broad categories of possible outcomes and we may not know before the federal budget in May. The first is a “let it run longer and see what the evaluation says” approach, with minor tweaks to clarify roles and perhaps changing the name. The second is more drastic: to cut the ML roles by, for example, taking much of the preventive health planning and education functions out. This would leave a focus on service delivery, while trying to reduce duplication of effort. The third is to axe the MLs entirely and phase a return to something more like the old Divisions of General Practice. The two more drastic approaches would weaken Australia’s primary health care system. It would go against the professional and community input to the national health reform discussions in 2008-09. And state governments might have very negative views about radical chopping and changing of this scale at this time. How do the economics stack up? MLs were set up with a modest budget. Depending how they are counted, the savings from axing them are likely to be less than A$1 billion over four years, allowing for transition arrangements and current contract commitments to be met. There are certainly bigger fish to fry in health savings. These include the Grattan Institute’s proposed Pharmaceutical Benefits Scheme reform, which might save A$1.3 billion a year, or removing the private health insurance rebate. Reducing the rebate by 25% could save A$549 million per year. “Lack of an effective infrastructure to help us avoid illness is a serious flaw in our healthcare system that needs urgent attention. Its establishment will require more money for Medicare but save us a fortune and provide us with a healthier population. We are frustratingly insular when it comes to introducing the changes contemporary Australia needs to meet health-related demands”. THERE is a lot that is disturbing about the federal government’s flirtation with a $6 co-payment for a service from a GP. Certainly no signal to the community that healthcare is expensive is needed. Last year we spent more than $29 billion from our hip pockets to subsidise our taxpayer-funded health system. Most commentators have criticised a co-payment, as it will act as a further deterrent for poorer Australians to seek the care they need, yet provide only paltry savings in a $120bn-a-year health system. Studies show that already too many patients delay seeking help and fail to take prescribed medications because of the costs involved. With the exception of illness caused by excessive alcohol consumption, all risk factors for serious disease are more prevalent in less advantaged Australians. Healthcare in our wealthy country is distressingly and increasingly inequitable. However, the major frustration with the current debate is associated with the lack of political understanding of the changes we do need to make to provide better health outcomes from a system that is financially sustainable. We do need to extract far more health from the dollars we invest in our health system but cost-effectiveness can only be tackled with a whole-of-system analysis not just a focus on the federally funded Medicare program that supports the delivery of primary care. If the government were serious about reducing the cost of our health system while improving outcomes and equity, it would start by tackling the appalling waste and inefficiency associated with having nine departments of health to care for 23 million people. Not only does this result in duplication costs estimated to be between $3bn and $4bn annually, the associated jurisdictional mess that sees states responsible for hospitals and the federal government responsible for primary care perpetuates all the inefficiency associated with a lack of patient-focused integrated services. We are the only OECD country so burdened. This compartmentalisation is represented by Health Minister Peter Dutton’s focus on the cost of Medicare. Hospital expenditure dwarfs primary care expenditure. In the real healthcare delivery world, the success or otherwise of our Medicare-funded primary care system has a significant influence on how much we need to spend on hospital care. Indeed the pertinent truth is that hospital funding into the future will be manageable only if a modernised and remodelled primary care system can reduce the demand for hospital admissions. The Productivity Commission reports that between 600,000 and 750,000 public hospital admissions could be avoided annually with an effective community intervention in the three weeks prior to hospitalisation. An average hospital admission costs at least $5000 while a community intervention to prevent that admission would cost about $300. Better quality control and attention to the evidence base supporting procedures to avoid unnecessary interventions would also save us billions of dollars. Most of the $18bn provided annually by Medicare is utilised for treatment available from our GPs. Primary care is doctor-centric and sickness-orientated. We visit our GP because we have a problem, not to get help to stay well. GPs are swamped with patients with chronic and complex diseases most of which could have been avoided or minimised as they are related to unhealthy lifestyle practices. Lack of an effective infrastructure to help us avoid illness is a serious flaw in our healthcare system that needs urgent attention. Its establishment will require more money for Medicare but save us a fortune and provide us with a healthier population. We are frustratingly insular when it comes to introducing the changes contemporary Australia needs to meet health-related demands. Around the world the trend is to establish primary care systems that encourage citizens to enrol in a wellness maintenance program and benefit from the delivery of healthcare by teams of health professionals working as “first among equals” in the one practice, integrated primary care. Medicare would cover the services provided by the team. The psychology associated with voluntary enrolment is important. The philosophy involves acceptance of the concept that we need to take more responsibility for our own health but, when necessary, with personalised and ongoing assistance from appropriate health professionals. The infrastructure involves having such a prevention program available from one’s primary care practice and is not necessarily delivered by doctors. Contemporary primary care should also provide earlier diagnosis and intervention in potentially chronic conditions, team management for established chronic disease, and care in the community for many who are currently admitted to hospital. The benefit of spending more on Medicare to reduce hospital admissions is a no-brainer if one is looking at the cost of the entire system but, of course, our governments don’t do this. The savings would more than cover the expense of introducing integrated primary care into Australia. 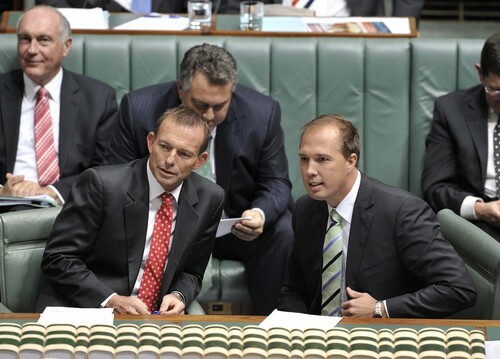 The Abbott government will probably govern us for six years. It should commit to taking us on a health reform journey so that in six years the above changes and the introduction of a single funder for our health system are providing us with far more health from the available healthcare dollars. To be talking about $6 is to trivialise a major policy challenge. John Dwyer is emeritus professor of medicine at the University of NSW. The Aboriginal and Torres Strait Islander Health Practice Board of Australia, in partnership with the Aboriginal Health & Medical Research Council, National Aboriginal and Torres Strait Islander Health Workers’ Association, the Australian Medicare Local Alliance, and the NSW Ministry of Health invite you to attend a stakeholder forum via webcast from Sydney. This is an opportunity for you and your colleagues to understand more about Registration for Aboriginal and Torres Strait Islander Health Practitioners. You can log onto a webcast of the event (see link attached below) and view live on the day or view the recorded version at a later date. Board members, partner organisations and AHPRA staff will be present to answer your questions on registration, accreditation and scope of practice. You must register via the attached link for the forum. When you have entered the page you must click on the Enter Webcast button and enter your details. Also please test the compatibility of your webcast viewing computer via the Internet Speed Test and Video Compatibility Test links on the website page; before the date of the webcast. Please forward this email to any colleagues who would be interested in attending the forum via our live webcast. via email if you have any questions. Acknowledging the traditional Aboriginal custodians upon whose ancestral lands the AH&MRC and AHC stand. NACCHO Croakey NEWS:What is the future for Medicare Locals and Aboriginal health partnerships? To mark the first anniversary of the Australian Medicare Local Alliance (AML Alliance), Croakey contributors including NACCHO were asked to suggest questions they’d like answered about the organisation and the country’s 61 Medicare Locals more broadly. • Where is the value? • What about Indigenous health? • Governance and resourcing issues • What about population health? • Some rural health concerns • What about mental health? Many thanks to the AML Alliance and CEO Claire Austin (pictured) for taking the time to answer the questions. It was no small effort! Q: Aboriginal partnership – what structures does AMLA have in place to ensure national partnerships with Aboriginal community controlled health services (ACCHs)? How does this work and is there a formal alliance with NACCHO? Claire Austin: The AML Alliance is working on a Letter of Agreement with NACCHO. This engagement is paramount to the primary health care sector and will be a key focus of the AML Alliance. The signals from both sides have been all about cooperation and partnership and it is definitely a space to watch in terms of progressive opportunities between the two agencies. Q: Aboriginal accountability – how does AMLA show real accountability to Aboriginal and Torres Strait Islander people, with how they are providing effective services and use of Closing the Gap money? Is this on their website? Not inputs but programs and numbers of Aboriginal and Torres Strait Islander people accessing services? Claire Austin: Data on the number of Aboriginal and Torres Strait Islander people accessing Closing the Gap services are provided to the funding bodies through regular reporting. Details of the Closing the Gap programs coordinated by the AML Alliance are available on the AML Alliance website. Similarly, details of the Closing the Gap programs run locally by MLs are available on their respective websites. It is imperative that we keep the dialogue flowing with other peak bodies like NACCHO and the Indigenous Health Leadership Group and respect the partnerships to maintain constructive progress in Indigenous health. That is what I want to see and I expect to see improvements in Indigenous health, now that an organised and systematic approach to primary health care, underpinned by culturally safe programs, is underway. Accountability is paramount but our accountability will be ultimately measured by the gains we can contribute towards closing the gap in life expectancy and disadvantage for Indigenous Australians. Q: How many MLs have formal robust partnerships with Aboriginal and Torres Strait Islander ACCHS? 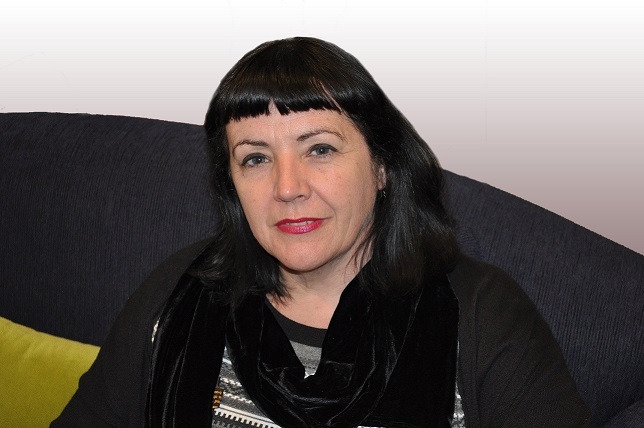 Claire Austin: Working with the Aboriginal Medical Services (AMS) and Aboriginal Community Controlled Health Services (ACCHS) sectors is paramount for MLs, and many have strong working partnerships in this regard – for example, the Aboriginal Medical Services Alliance Northern Territory (AMSANT) is a founding member and partner of the Northern Territory Medicare Local. AML Alliance and MLs are working with the Indigenous health sector to build on the gains made to date. Q: Aboriginal investment – How many MLs are working in collaboration and subcontracting to ACCHSs to improve coordination and health outcomes? How are MLs deciding when this subcontracting is appropriate? Claire Austin: MLs work in partnership with AMSs, ACCHSs and the broader Indigenous community to conduct their population health needs assessments and to subsequently develop local population health plans. These partnerships allow for the needs of Aboriginal and Torres Strait Islander peoples to be well defined and for the resulting services to be comprehensive and targeted in meeting those needs. MLs subcontract health providers subject to that provider’s proven ability to most efficiently and effectively meet the needs of the Indigenous community. It is important to note that subcontracting is only a small way in which MLs engage Indigenous health providers. Genuine partnership (formal and informal) in the design, delivery and coordination of Aboriginal and Torres Strait Islander services proves a very effective means through which to best meet the health needs of Aboriginal and Torres Strait Islander people. Q: What percentage of Aboriginal health outcomes is directly attributed to MLs? Claire Austin: It is important for AML Alliance and MLs to be guided by Aboriginal and Torres Strait Islander health organisations and peoples as to what they consider are the appropriate measures for Aboriginal health outcomes. We are currently guided in this respect with the health issues addressed under national Closing The Gap initiatives. • Working with Aboriginal and Torres Strait people and/or organisations to encourage Aboriginal people to self-identify with mainstream services so that they can receive culturally safe care and gain access to Indigenous health services and benefits. • Educating and training non-Indigenous health providers around cultural safety and informing them of Indigenous entitlements to specific programs and benefits. • Supporting Indigenous chronic disease management through the Care Coordination and Supplementary Services program. • Delivering an Otitis Media program for Indigenous communities. • Employing and supporting Indigenous project officers and outreach workers in Indigenous communities. Q: There are specific issues related to primary healthcare service delivery between urban, rural and remote areas including the islands of the Torres Strait. What are the highlights, challenges and risks for MLs, especially in remote areas where the divisions of general practice had no footprint? Claire Austin: MLs are governed locally and they have the remit and flexibility to respond directly to local needs. This means remote residents are shaping their services in accordance with local context. Supporting this is MLs’ mandate to build and maintain local partnerships which are necessary for meeting those needs. The challenges associated with this are often going to revolve around funding and capacity, so as long as MLs are sufficiently supported by all levels of government and their local communities then they will be well-positioned to overcome these challenges. Q: How many Aboriginal and Torres Strait Islander staff are employed across Australia by MLs or within AMLA? And how many at manager or higher-level management? Claire Austin: We know that at least 80 FTE Aboriginal and Torres Strait Islander Outreach Workers (ATSIOWs) and 80 FTE Indigenous Health Project Officers (IPHOs) are employed/funded through MLs. It is important to note though that MLs do not report to AML Alliance so this type of information is not readily available. The AML Alliance is privileged to have Uncle Brian Grant as its Special Adviser on Closing the Gap. Uncle Brian is an Elder of the Merriganoury Clan of the Wiradjuri Nation and is a Member of the Council of Elders of the Wiradjuri Nation. Brian provides national leadership advice, assistance and support to the Chief Executive Officer, the AML Alliance Board and operations to assist AML Alliance achieve its aims through the Closing the Gap initiative. ***** Q: It is very rare for a national peak body to receive the Government funding at the level provided to the AML Alliance. Most rely on subscriptions from their member organisations. Why do you merit such special treatment? Wouldn’t the AML Alliance speak with greater authority if it was more obviously accountable to those it purports to represent? Claire Austin: The Commonwealth is cognisant of the value that the AML Alliance provides to MLs as a peak body. It acknowledges that investment in AML Alliance is helping to meet the health needs of Australians by offering leadership, coordination and support of health system reform. Many peak bodies receive government funding so I am not sure how our case can be construed as ‘special treatment’. Our funding requirements very clearly state our duty to serve and support the work of MLs, and our governance arrangements have been set up to ensure we perform this task in the absence of undue influence. The Alliance is committed to supporting and enabling capacity development and excellence for service delivery in primary care through the ML network. It also has a role in identifying opportunities for policy and program improvement at the national scale. In addition, it should be noted that the Not for Profit Sector Freedom to Advocate Bill 2013 was passed on 5 June, safeguarding the ability of Not-For Profit entities to advocate freely on behalf of the community – which impacts on Commonwealth agreements. The Act invalidates or prohibits clauses that restrict or prevent NFPs from commenting on, advocating support for, or opposing changes to Commonwealth Law, policy or practice. The $777 million commitment to Close the Gap initiatives in the 2013 Federal Budget is welcome however the Aboriginal health Community Controlled sector remains concerned about the lack of detail on how and where the money will be spent. 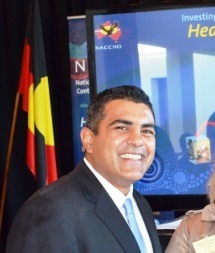 National Aboriginal Community Controlled Health Organisation (NACCHO) Chair, Justin Mohamed, said it was critical that adequate funding was dedicated to support and grow Aboriginal Community Controlled Health services where the biggest gains were being made in improving Aboriginal health. “The lack of clarity in the Budget around how funding will flow to Aboriginal primary Community Controlled Health services is very concerning,” Mr Mohamed said. “Aboriginal Community Controlled Health services need to be at the forefront of any comprehensive primary health care model. “It is these services – run by Aboriginal people, for Aboriginal people – that are making the biggest improvements to the health of their communities. “The Federal Government also needs to put greater effort into getting the states and territories to re-commit to the National Partnership Agreement – due to expire in just over a month. Mr Mohamed said NACCHO was disappointed that the Budget did not spell out how the upcoming National Aboriginal and Torres Strait Islander Health Plan would be funded. “The Health Plan will not work unless it is properly resourced and after yesterday we are no clearer on how much of the $777 million will be directed to this critical initiative. “It is also disappointing to again see the focus on Medicare Locals in the Budget. Medicare Locals are yet to prove their effectiveness in the Aboriginal health space where the community controlled model has made positive health gains. Mr Mohamed said NACCHO would be consulting widely with the Aboriginal Community Controlled sector and providing further comment upon further analysis of the budget papers in the coming days. Through Outcome 8, the Australian Government aims to improve access for Aboriginal and Torres Strait Islander people to effective health care services essential to improving health and life expectancy, and reducing child mortality. The Australian Government, through the National Indigenous Reform Agreement, is committed to ‘closing the gap’ between Indigenous and non Indigenous Australians in health, education and employment. This requires a concerted and coordinated effort from all Government agencies and two of the targets in the agreement relate directly to the Health and Ageing Portfolio: to close the gap in life expectancy within a generation; and to halve the gap in mortality rates for Indigenous children under five years of age within a decade. 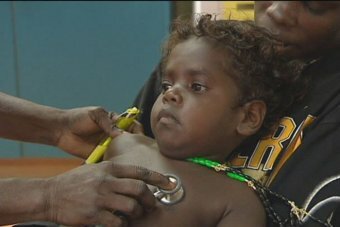 In 2013-14, the Government will work with states and territories through a renewed National Partnership Agreement (NPA) to consolidate and embed the reforms implemented under the current NPA on Closing the Gap in Indigenous Health Outcomes, including continuing implementation of the Indigenous Chronic Disease Package. This commitment will provide a continued framework for working collaboratively to close the gap in life expectancy within a generation. The Australian Government is also developing a National Aboriginal and Torres Strait Islander Health Plan, which will build on the gains already being achieved through the Australian Government’s Closing the Gap initiatives. The Health Plan is being developed as a collaborative effort and after extensive consultation with Aboriginal and Torres Strait Islander people and their representatives and is being informed by advice from the National Aboriginal and Torres Strait Islander Health Equality Council. It will involve building links with current initiatives and strategies, identifying gaps for further action and expanding existing initiatives where appropriate. The Australian Government recognises that closing the gap in life expectancy in the Northern Territory continues to present a significant challenge. 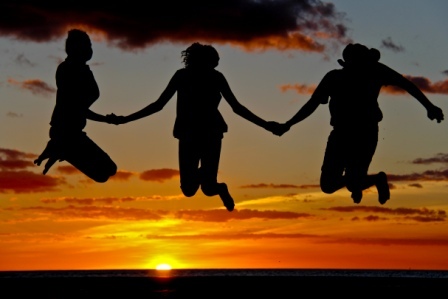 The Stronger Futures in the Northern Territory – health initiative focusses on this challenge by providing ongoing funding to deliver a comprehensive health package for Aboriginal and Torres Strait Islander people in the Northern Territory. The Department is working with Aboriginal and Torres Strait Islander people and organisations, as well as in collaboration with state and territory government agencies to implement these programs. NT Minister for Education, Peter Chandler, today announced the development of programs that will educate students about the problems of Foetal Alcohol Spectrum Disorder and support affected children. “While there are already significant resources in schools to assist with education about alcohol these programs will focus on the disorder. “New educational programs will address the consumption of alcohol in pregnancy as a way to prevent further cases. “The Department of Education and Children’s Services will work with non-government organisations to deliver programs to middle and senior school students on the consequences of drinking alcohol during pregnancy. 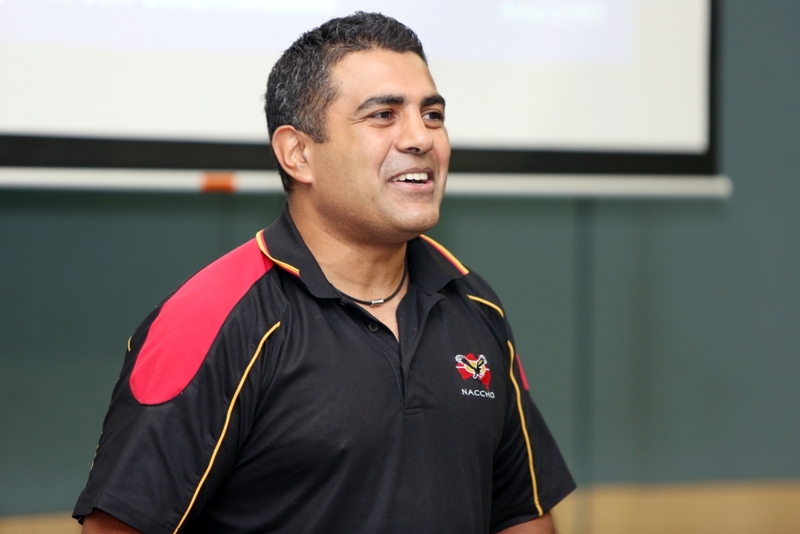 “An educational psychologist will be employed to work with schools on programs to support children affected by the disorder,” Mr Chandler said during a visit to Centralian Senior College in Alice Springs. “The Government is taking a broad approach to addressing the effects of alcohol, which includes this week’s announcement of mandatory rehabilitation for problem drunks and education in schools. Member for Stuart, Bess Price, who also visited Centralian Senior College, said Foetal Alcohol Spectrum Disorder, which has lifelong complications for children, is preventable by avoiding the consumption of alcohol during pregnancy. “There are a range of effects on children whose mothers drink alcohol during pregnancy. “These include physical, mental, behavioural and learning disabilities. Community organisations across Australia can apply for Australian Government funding to establish new Family Mental Health Support Services (FMHSS) to provide early intervention and intensive support to vulnerable children and young people affected by mental illness and their families. This round of funding will establish FMHSS in 20 additional locations across the nation. The 2011–12 Budget allocated an additional $61 million over the five years from 2011–12 to 2015–16 for additional FMHSS to assist around 32,000 children and young people at risk of or affected by mental illness, and their families. It is anticipated the roll-out of new services will occur in June 2013 and April/May 2014. New FMHSS will need to be fully operational six months after signing a Funding Agreement. Successful service providers will be required to work closely with FaHCSIA and participate in evaluation activities during the life of the Funding Agreement. For instructions on how to apply for please see the information below. The Australian Government has committed $61 million over five years to 30 June 2016 to expand the FMHSS initiative. Applications for new FMHSS sites close at 5:00pm (Eastern Daylight Time) on Thursday 4 April 2013. New FMHSS are Family Mental Health Support Services funded through the 2011–12 Budget, and established from 2012. New FMHSS provide flexible and responsive services for children and young people up to the age of 18 who are at risk of, or affected by mental illness, and their families. New FMHSS work with children, young people and families to identify risk factors or issues which may lead to poor mental health outcomes later in life and work with the child, or young person and their family to address these issues, and strengthen protective or positive factors. New FMHSS operate in close cooperation with and with other family and children’s services and with the local network of “first to know” agencies such as schools, early childhood centres and child welfare agencies which are vital in identifying at-risk children or young people. New FMHSS deliver a community-based support service, focused on early intervention to improve mental health outcomes for children and young people at risk or affected by mental illness and their carers and families. Intensive, long term, early interventions specifically for children and young people, and practical whole-of-family assistance to improve the long-term outcomes for vulnerable children and young people at risk of, or affected by, mental illness. This can include targeted therapeutic group work. Community outreach, mental health promotion/education and community development activities to increase local capacity to understand and respond to children or young people and their families/carers. As at January 2013 there were 52 FMHSS operating in geographically defined sites across Australia. Thirteen of the 40 New FMHSS announced in the 2011-12 Budget were funded from mid-2012, including two remote services. This round of funding will establish a further 20 New Family Mental Health Support Services. These guidelines provide the framework for the implementation and administration of the Targeted Community Care (Mental Health) Program. Part A: Targeted Community Care (Mental Health) Program Guidelines which provide an overview of the Targeted Community Care (Mental Health) Program and the Activities relating to the program. Part B: Information for Applicants which provides information on the Application, Assessment, Eligibility, Selection and Complaints Processes; and Financial and Funding Agreement arrangements. Part C3 Application Information for the Family Mental Health Support Services ‐ which provides specific information on the Activity, Selection Processes, Performance Management and Reporting. New FMHSS identifies groups of children and young people that face additional disadvantage and risk factors for poor mental health outcomes as special needs groups. Applicants should also review the Terms and Conditions of the Standard Funding Agreement as these are the terms and conditions that will apply to the funding if the Applicant is successful. Applicants are required to indicate their agreement to these terms in their Application. Applicants for New FMHSS must complete the Application Form available on the FaHCSIA website electronically and email it to FMHSSApplications@fahcsia.gov.au. Organisations applying for more than one site must submit separate applications. Applications should be tailored to each site. Application Form – Completed applications are to be submitted to FMHSSApplications@fahcsia.gov.au by 5:00pm (Eastern Daylight Time) on 4 April 2013. Word limits have been specified for each criterion. Information provided beyond the word limit will not be considered in assessment of the application. Applicants should only attach additional information where requested to do so. Further information on FMHSS is available in a Resource Kit. If you have any questions, or experience technical problems when completing or submitting an application, please contact FaHCSIA for assistance at FMHSSApplications@fahcsia.gov.au. Please ensure you include contact details so that we can respond to your query directly. The Department will post its answers to questions about this round of funding on this webpage by 5.00pm (Eastern Daylight Time) every Wednesday until the relevant Closing date. Please note that the Department will not respond to any questions received after 5:00pm (Eastern Daylight Time) on Tuesday 2 April 2013.